You have something valuable to offer and the world needs to know about! Behind your need to get noticed, is a deep desire to be successful. Not successful as measured by the most current trend, but successful with the skills you were given to create your very own success. With all the competition for attention, are you getting frustrated when clients aren’t finding you? As founder of Winter Park Artist’s Orlando Web Wizard, I don’t believe in magic, but I have faith that you can do better. “Carol Gann is an accomplished business woman with a passion to serve people. She is an expert in her field offering self-help solutions and personalized attention. Desiring to see others succeed, she is committed to helping clients build their business or present their nonprofit organization. She has been recognized for her remarkable journey from self-sufficiency to recovery from traumatic head injury to successful web designer. As woman of faith, Carol has persevered. Now, in order to serve more people, she is adding consulting, training, and speaking to her entrepreneurial offerings. 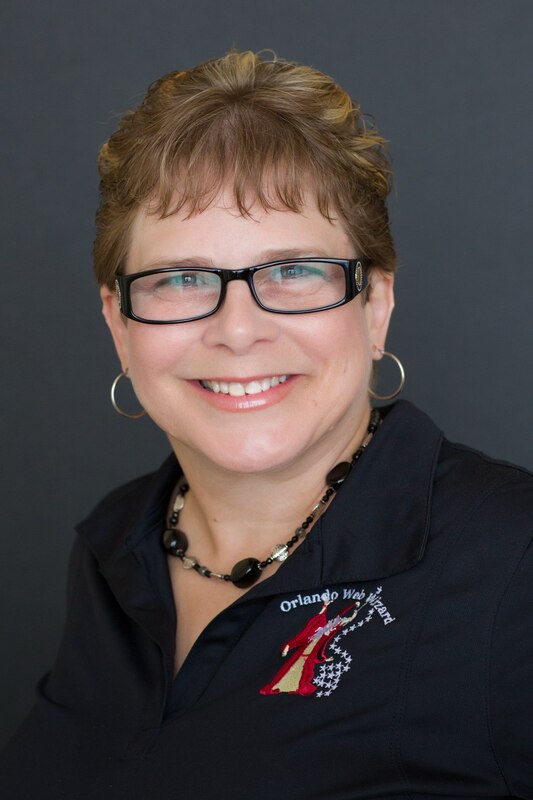 I encourage you to get to know Carol and learn how she can help your business be better!” – a longtime friend and colleague"
I have spent 12 years working with small business owners and nonprofit organizations. My desire is not just to serve your organization, but help you to be successful. Contact me to learn how. In business and life, I value integrity, helping people, and offering self-help solutions. My business ethic comes out of my own personal story.